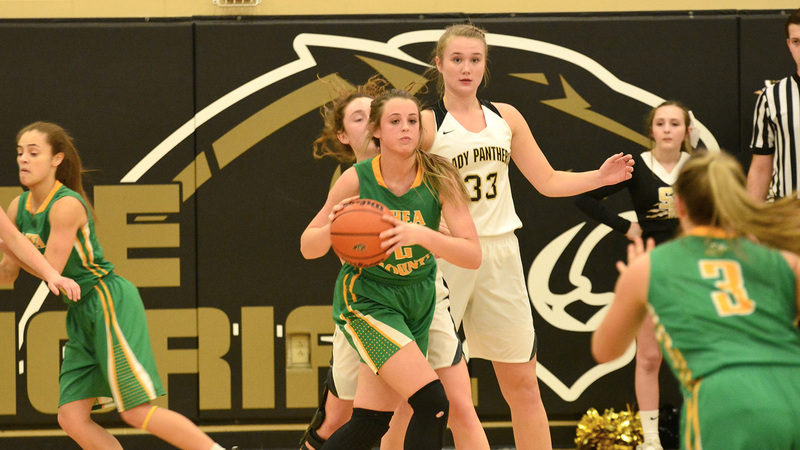 Evensville, TN — Rhea County High School basketball teams complete their regular season tonight at home against White County. While the Eagles look for their first district win, the Lady Eagles look to even their district record at 4-4 and even up season series with White County after dropping their game at White County 72-60. With the tie, Lady Eagles will look for some other things to fall into place to move into the third place game and escape the 4-5 play-in game in opening round of district play. The team with win over the team with best district record gets the first tie breaker. Lady Eagles have win over Cookeville and White County has win over Stone Memorial. Stone Memorial only has one loss in district play and travels to Cookeville for big season ending game on Saturday. Cookeville has two losses in district play, one against Rhea and one against Stone. A win gives each a 5-3 record. Now that would be if Cookeville beats Warren County on Tuesday night. Stone steps out of district to play county rival Cumberland on Tuesday night. All this extra math means nothing if Lady Eagles don’t win on Tuesday. A play-in game win would be a must to qualify for region play. Eagles most likely will square up against Warren County, a team that owns three wins against Eagles this year as they played in Sonic Shootout tournament in December. The other possibility could be White if White loses their last two and Warren wins. No matter who the opponent, Eagles will need to step up their play to get into the round of four and advance on to region play. Last week both teams played back to back on the road with Eagles dropping games to Stone Memorial and Warren County. Lady Eagles lost tough one at Stone(54-49) before rebounding with win at Warren County by 44-35 score. Against Stone Eagles were led by Dylan Palermino with 8 points and Kaleb Laws and Ricky Guthrie with 6 points each. Brett Necombe had 20 to led Stone and Justin Headrick had 12, all in the first quarter. Lady Eagles were led by Haley Cameron with 24 points. Maddie Smith and Mallory Hampton had 12 and 10 points respectively, while Emma Capps, Tessa Miller and Mattie Buck lead Lady Panthers with 19, 13 and 12 points respectively.